While Stocks last. 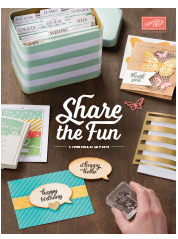 Making way for new products is what Stampin' Up! does every year. Once products are retired, they are not available for sale unless purchased second hand. Please call or email me if you would like to order anything.